This big A3-sized storybook is ideal for reading aloud in groups. 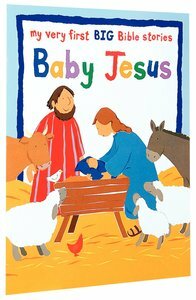 The Christmas story is presented in simple words with child-friendly paper collage pictures. Notes are included for parents and teachers, putting the story in context and giving ideas for discussion. About "Baby Jesus (My Very First Big Bible Stories Series)"